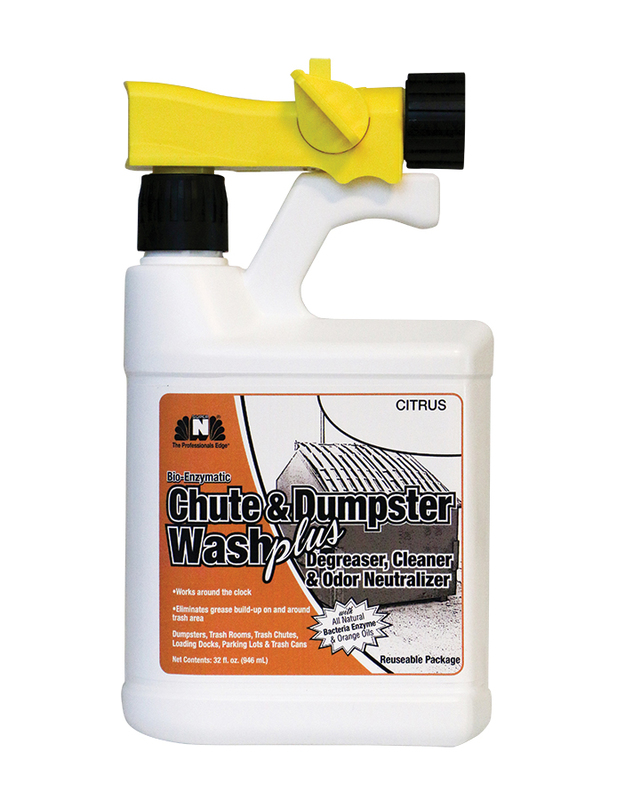 Chute & Dumpster Wash Plus is specially formulated with grease loving bacteria, enzymes, citrus oils and our proprietary odor neutralizer to clean, cut grease and counteract severe malodors. Non-toxic and biodegradable, making it user safe and environmentally friendly. Works great on trash chutes/walls, dumpsters, compactors and dock floors. CAN BE SHIPPED VIA GROUND ONLY. DOMESTIC SHIPPING ONLY! Special Notes: 32 DMPFDRTU is a reusable container. Use gallon as a refill.